Code Ninjas Co-Founder and CEO David Graham (left) testified about how intellectual property protection is essential to the success of franchise businesses. Who better to talk about the importance of intellectual property protection than the founder of a franchise business that teaches coding to children? 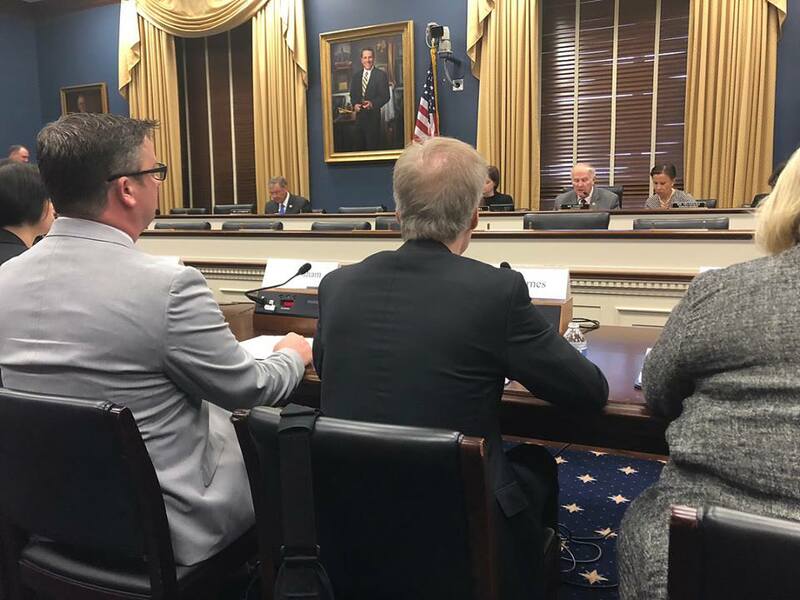 Code Ninjas Co-Founder and CEO David Graham testified on behalf of IFA at the U.S. House Committee on Small Business on Wednesday, telling members of Congress that franchising “relies on a strong intellectual property framework” as a crucial part of business success. Graham was one of four witnesses at the May 16 hearing, which also included Michal Rosenn, General Counsel of Expa; Rick Carnes, President of the Songwriters Guild of America; and Joan Fallon, Founder and CEO of Curemark. In his testimony, Graham — whose company teaches STEM education and coding to kids through a video-game based curriculum — said that the individual-owner franchise business model requires brand protection to ensure a high-quality and consistent customer experience, and the only way to give legal effect to brand protection is through intellectual property protection. “This means that we have to have a standardized set of training materials, branded uniforms, sales processes, and even jargon to use with parents so that Code Ninjas isn’t distilled into a simple curriculum that can be found online,” he said. Left to right, Code Ninjas Co-Founder and COO Bert Sintuphant, Melissa Graham, U.S. Rep. Nydia Velazquez (D-N.Y.), Code Ninjas Co-Founder and CEO David Graham, and IFA Vice President of Government Relations and Public Policy Suzanne Beall, Esq. When people think of a franchise, he continued, they often picture large networks like McDonald’s, KFC, Holiday Inn or Marriott – great, high profile examples of franchising. “But that’s not the whole story,” Graham said. There is a wide range of size, market power, experience, products and services among franchising companies, and small businesses constitute a large majority of franchisors. “These are small businesses like any other – they have a limited footprint, limited financial resources, often fledgling advertising programs, and relatively challenging competitive positions,” he said. 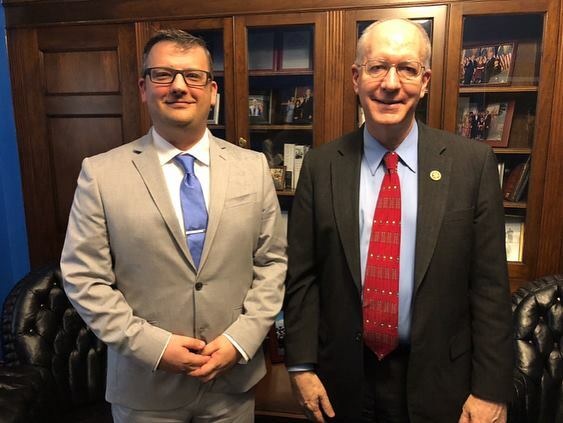 Code Ninjas CEO David Graham (left) with U.S. Rep Bill Foster (D-Ill.). 1). Registering your Franchise Disclosure Document (FDD) with various states is important for franchises, but the process is laborious, costly, and must be improved. Some states make the process relatively easy. For example, North Carolina, South Carolina, Connecticut, and Maine exempt franchisors from registration requirements so long as the franchise already has a federally registered and approved trademark. But some states have much more cumbersome requirements, and this patchwork has put up roadblocks and unneeded costs to getting started. 2). Improve the ongoing protection of our IP rights. Numerous companies have applied for trademarks that would confuse our brand with theirs. We need a more immediate feedback loop from the government on our registered trademarks so that we can be alerted when terms or marks are attempted to be registered that are like our own. This will make it easier for us to identity copycats. The current process can linger for months before the existing owner is notified, if at all. 3). Strengthen international protections. In the digital realm, it’s difficult to keep the Code Ninjas brand separate from those in other countries, Graham explained. “Even in our first year, we have seen copycats in the UK and elsewhere who were essentially squatting on our brand.” The squatters can game the system in part because there are no implicit protections for URLs that contain Code Ninjas’ U.S.-registered trademarks, codeninjas.eu for example, which means there is no remedy to address the squatters other than paying them an effective ransom for something that should belong to Code Ninjas by registration. 4). Improve protections against misleading advertisements. Code Ninjas sees its trademarks being used by other companies as search terms or in ad space. There aren’t strong protections to help remedy this IP infringement, and this is especially true for social media platforms like Glassdoor, Instagram, and Twitter where there is zero protection outside of what the respective companies’ policies dictate. Google does provide some tools to enforce registered trademarks in the actual text of the ads, which is a good start, but they still allow competing ads to appear when Google users search the term “Code Ninjas,” effectively usurping the brand. 5). Clarify the joint employer standard. Give franchisees the predictability they need to hire new employees, train existing ones, and unlock the full economic potential of their communities. Fortunately, last fall, the House passed the “Save Local Business Act,” a bill that would enact a permanent fix. IFA and its membership strongly recommend that Congress enact this legislative solution. 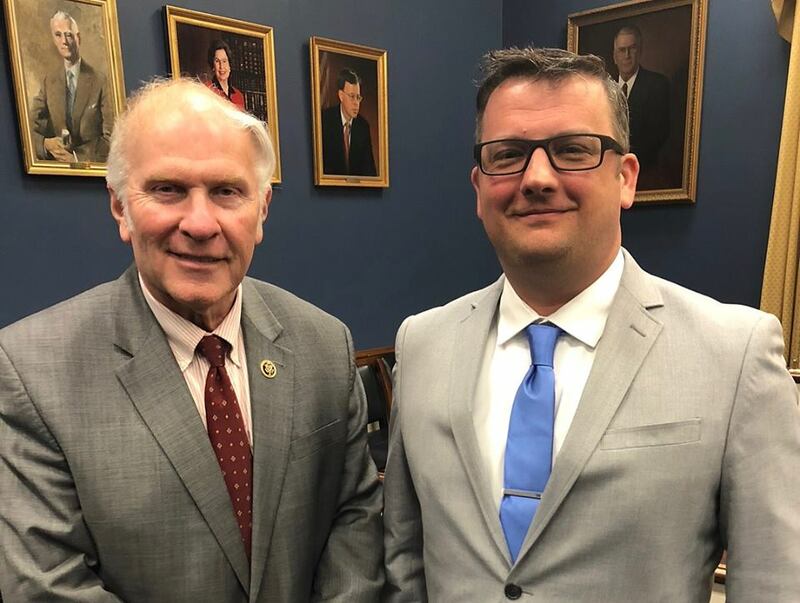 U.S. Rep. Steve Chabot (R-Ohio), Chairman of the U.S. House Committee on Small Business, with Code Ninjas CEO David Graham. • Revamp the PTO to provide less expensive alternatives to litigation, ensuring a fair oversight mechanism for questionable patents, rather than deferring to lawyers. IFA supports reforms of the regulatory and legal landscape surrounding IP to better protect America’s 7.6 million direct franchise jobs, which contribute $674 billion in economic output. Join IFA’s Franchise Action Network below to help us make a difference.